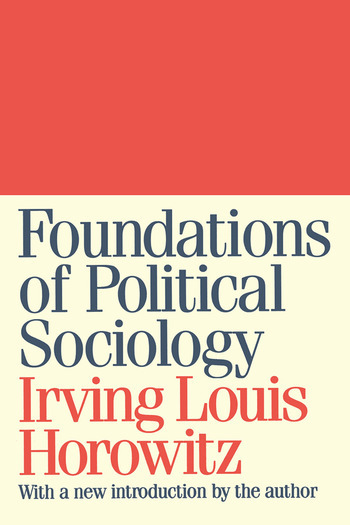 When initially published in 1972, Foundations of Political Sociology was acknowledged to be the first unified study of the field. It still provides a cross-fertilization of knowledge concerning the interrelation of social class and political power. Taking into account new specializations in social theory, the book covers all major social systems on a comparative international basis. The opening remarks prepared for this new printing provide an estimate of how the field has changed during the past quarter century, and what unexpected challenges have arisen in areas of public trust and personal privacy. This book examines fascism, communism, anarchism, conservatism, and liberalism as systems of rule as well as domains of theory. It is thus a unique effort at linking problems of history with problems of policy. The six sections of the book detail the historical and theoretical antecedents of this relatively new hybrid area in social research: policy coordinates of political sociology, types of social systems, forms of political ideologies, polarities of revolution and counter-revolution, civil-military relations, mass vs. elite contradictions, and threads of consensus and conflict running through these themes.